Leo Halpin, 76, County Dublin. Fifteen years ago Leo was referred to Cappagh National Orthopaedic Hospital by his Doctor for a hip replacement. Leo says he was crippled with the pain and this had a negative impact on the quality of his day to day life. At least 4,500 hip replacements are carried out each year in Ireland, usually on adults aged over 65. Over 800 of these took place at Cappagh National Orthopaedic Hospital in 2017. After his surgery, he was able to return to his very active life and has never looked back. So grateful for the care he received from the Hospital, he wanted to do something to say thank you! For the past twelve years Leo has held the annual ‘Leo Halpin & Supporters Great Cappagh Walk’ in the parish of Oldtown. To date they have raised over €100,000 for the Hospital through Cappagh Hospital Foundation. Leo’s wonderful dedication to the Foundation is echoed through the support he receives from the community of Oldtown. An astonishing amount from an incredible community! 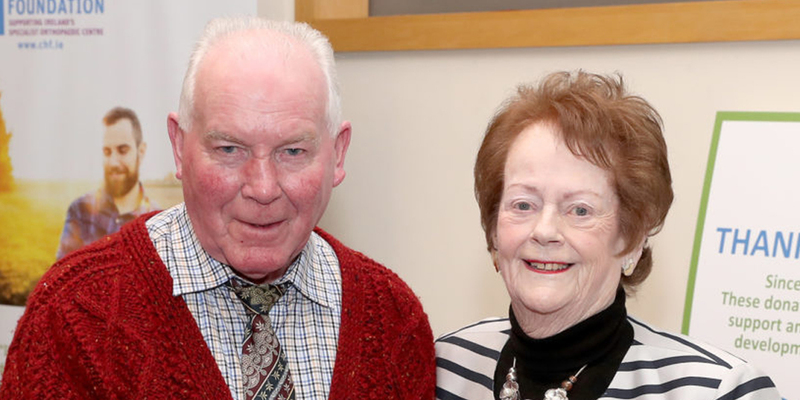 As part of Cappagh Hospital Foundation’s 30th Anniversary Celebration Awards, Leo received an Award for his Outstanding Support as an Individual Fundraiser together with the Community of Oldtown, who together, received the Cappagh Hospital Foundation Community Award. Thank you Leo and everyone from Oldtown!